Centix is an expert-consultancy organization offering solutions and services around virtualization and centralization technologies (Desktop, Application, Server and Storage virtualization). The company is partnered with industry-leading technology providers such as Citrix, VMWare, Microsoft and NetApp, and is quickly becoming a reference in consultancy towards virtualization technologies. 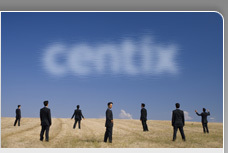 Centix offers you a challenging work environment in a dynamic ICT company with a "no nonsense" attitude. All Consultants have the opportunity to follow an education plan to achieve the relevant Citrix, Microsoft, NetApp and VMWare Certifications.